Our 700g truffle filled box is packed with our finest chocolates presented in a luxury chocolate box with ribbons, making this a real indulgent chocolate gift. Chocolate Gourmet staff hand pick all our chocolate truffles which can include a selection of nougat, pralines, classic alcoholic truffles and just a few creams. 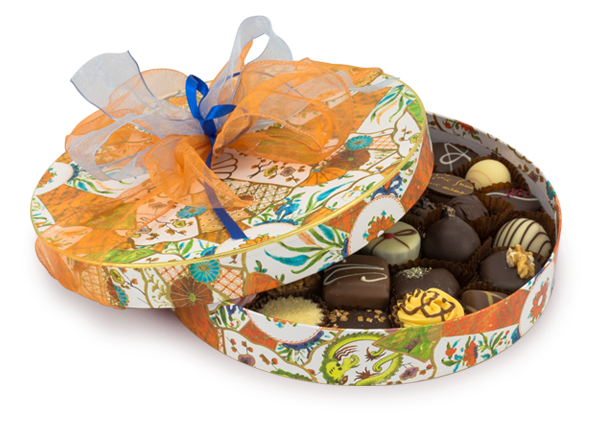 Contains up to 40 chocolate truffles. Imagine receiving a luxury gift like this. Our 700g chocolate box makes the ideal present. Filled with delicious chocolate truffles from our range, hand filled and carefully wrapped. Uniquely presented, a great way to treat a special person.